Humanitarian, Chef of the Year, Man of the Year, Top 100 Most Influential People...the list of accolades for this man goes on and on. The man in question? 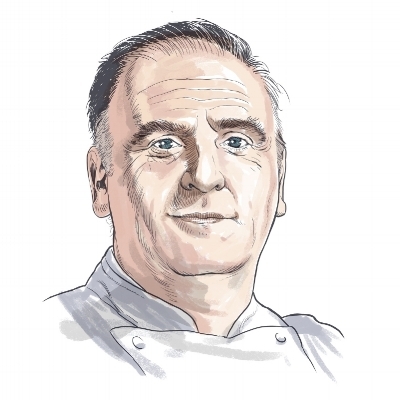 None other than José Andrés. Many–including the esteemed James Beard Foundation–consider him to be one of the best and most influential chefs of his time. Such a high honor is only fitting for Andrés, the humble owner of a multitude of successful restaurants, including minibar by José Andrés, which boasts not one, but two dearly coveted Michelin stars. Though minibar features a $275 tasting menu, Andrés owns a multitude of much more affordable restaurants that still lend insight into his inspirational and dazzling cooking style. For those not familiar with a well-loved secret of the culinary world, let me introduce you to the Michelin Guide’s Bib Gourmand lists. These are designated by the same people that hand out the elusive Michelin stars, but are considered “exceptional restaurants at moderate prices”. In US cities, the ‘moderate’ tag means a meal consisting of a two-course meal under $40. These restaurants are often spawned by the very same chefs who attain Michelin star statuses, and thus should be high up on every foodie’s list of must-visit places. Here in the lovely albeit humid city of Washington, DC, José Andrés has truly outdone himself. If the exclusive and daunting price tag of minibar by José Andrés is too much, there are four other options from Andrés’s inventive imagination that all dazzle in their own ways. Known by many as the very man who brought small plates (aka tapas-style dining) to the United States, Andrés focuses on the quality of food at each of the Bib Gourmand-featured restaurants he owns. This ensures that the diner can sample two or three dishes when dining alone, or a multitude when with friends; certainly, the more the merrier. DC is often lauded as a place brimming with food and traditions from cultures all over the world, and you can get a good glimpse of a quite a few cultures solely through Andrés’s restaurants. China Chilcano features fascinating fusions of Chinese, Japanese, and Peruvian styles of cooking, along with notable Pisco Sours. The food ranges from melt-in-your-mouth ceviches to sashimi to dimsum and more; each dish has its own little twist, making it unlike any flavor experience you’ve ever had before. 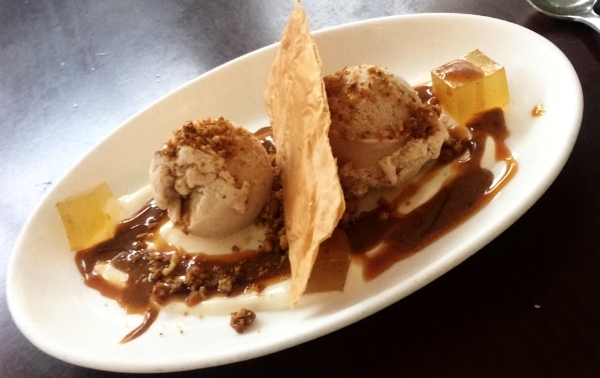 Jaleo, established in 1993, is often referred to as Andrés’s flagship restaurant. It sticks to traditional Spanish cuisine–here you can get your fill of some of the city’s finest tapas, and of course, eat your fill of Iberico ham. Just down the street is Oyamel, where you can find fun and delicious small plates, Mexican street foods, and killer happy hour deals; fill yourself up with $2 tacos and a $4 ceviche that you won’t find anywhere else. Thank you, Chef Andrés. Last but not least, there is Zaytinya. Again, you will find small plates, but this time they mesh the Mediterranean flavors of Turkey, Greece, and Lebanon in the most artful ways. Pro tip: ask your servers for recommendations, because they truly know what is best (though all of it is good, so there’s little room for error). All four of these restaurants are nestled in the heart of DC’s Chinatown, and you can’t go wrong. José Andrés has given the world many gifts; his beloved restaurants take you on sensational flavor trips and can be enjoyed at reasonable prices, but his story doesn’t end there. Andrés won a National Humanities Medal in 2015 for his humanitarian efforts and his nonprofit, World Central Kitchen (WCK). He has worked constantly to advocate for food and hunger issues, and uses his nonprofit to empower communities and strengthen economies through the power of food. In the wake of Hurricane Maria in Puerto Rico, Andrés and WCK helped to serve over 3.5 million meals to those in need. It’s not everyday that you stumble upon a brilliant culinary expert who cares so deeply for the world at large.